We are totally artsy today, with two new films about famous painters! 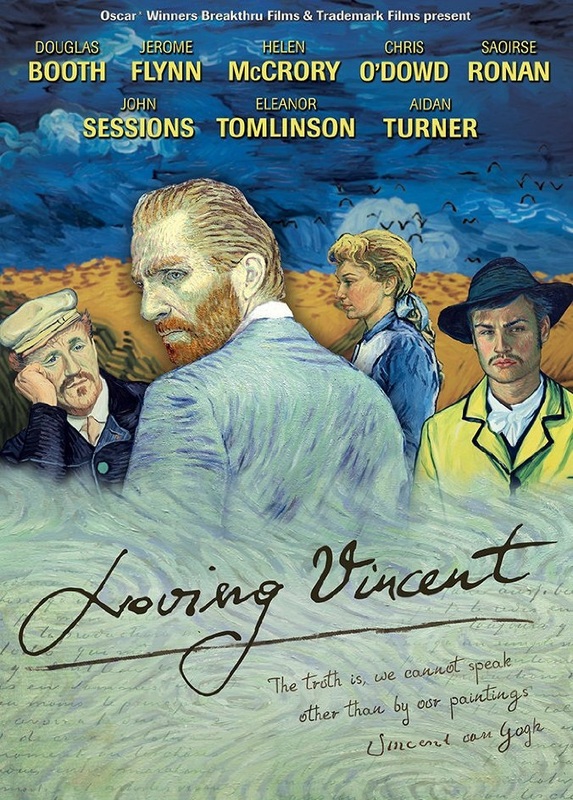 LOVING VINCENT is a very unusual movie hitting British cinemas this October with the story following the life and mysterious death of Vincent Van Gogh.The movie uses unique animation technique which depicts the painter's own famous style of painting. The movie which has played around movie festivals this summer will enter USA cinemas at the end of September and move around Europe and world in October with the cast including Poldark stars Aidan Turner and Eleanor Tomlinson, with Saoirse Ronan and Douglas Booth. Van Gogh himself is played by Robert Gulaczyk. Coming from France as soon as the end of September is a movie on another famous painter GAUGUIN who is portrayed by famous French star Vincent Cassel. The movie is set back in 1891. Gauguin exiles himself in Tahiti. He wants to find his painting, as a free man, as a savage, far from the moral, political and aesthetic codes of civilized Europe. He sinks into the jungle, braving solitude, poverty, sickness. There he will meet Tehura, who will become his wife, and the subject of his greatest canvases. 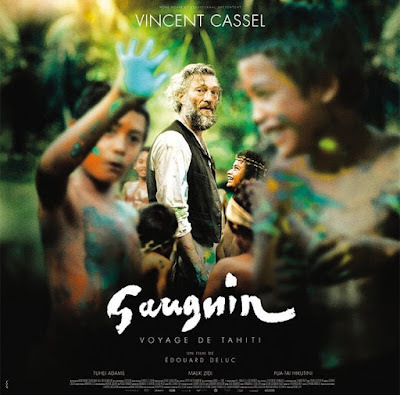 Gauguin with Vincent Cassel, promising! you will have to teach us French, first, Phillie! Hmm, interesting how they are making Van Gogh's paintings come alive in the video. They always did look like they could move off the canvas. Mariah will enjoy Loving Vincent. Her all time favorite piece of art is Starry Night. She saw some of his work reproduced on a Luis Vuitton bag in Vegas and even though she doesn't carry a handbag often, she really was itching to have that bag in her possession! She has a pair of leggings that she loves to workout in that are Starry Night. There really is quite a few items with that popular piece on them. The trailer seemed interesting as it was created in the form of his artwork. Will it be successful? I guess it depends on how long it is as my mind might wander too much focusing on the artwork and not the story line.